Enjoy your holidays in Naxos, relax and feel you are in paradise. We offer you many choices in order to make your day better from early in the morning. We provide you fresh juices, soft drinks, ice-creams and the best espresso on the island. 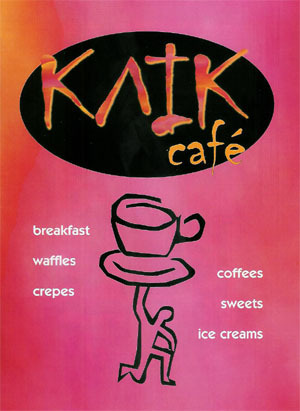 Sandwiches, Waffles, Crepes, Ice-creams, Cocktails, Fruit Juices, Desserts, Cheese Pies and 20 different coffees.